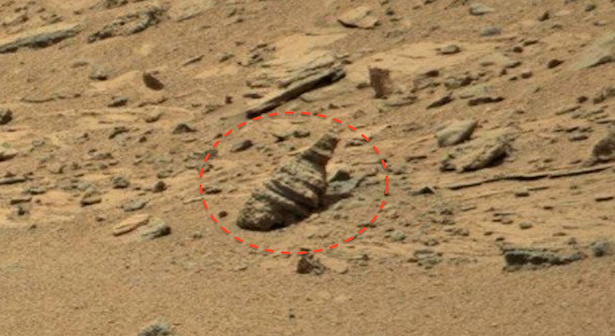 UFO SIGHTINGS DAILY: Ancient Bottle Found Near Mars Rover, Nov 2015, Photos, UFO Sighting News. 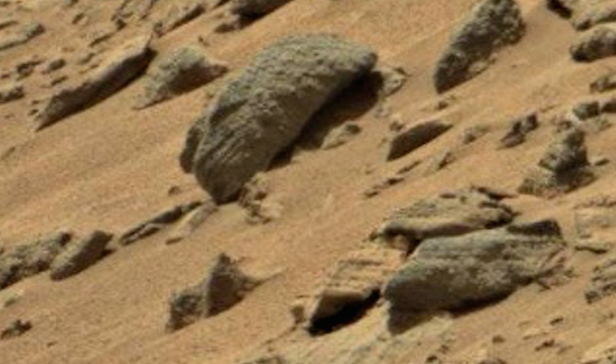 I was looking through some Mars photos and found this interesting bottle half buried in the sand. The bottle seems like it was made loops of clay and weathered by time, but its still there. 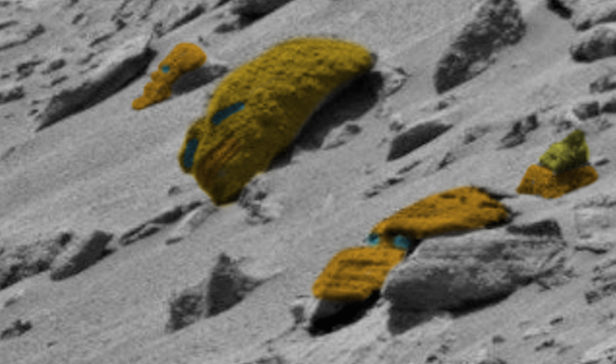 It looks much like what you might find on a beach along the ocean here on Earth. I also found a few faces to the left of the bottle. I colored the faces to make them easier to see and made the eyes blue. The eyes are colored, but there is a carved eye there. I wonder if there is a message in it?